Have a BCD996P2 or XT and want to add GPS capability, but don’t want to pay $70 for a Garmin puck? Neither did I. Instead I got a cheaper GPS puck and spliced the right connectors on to get the job done. Most of the info I found online for Uniden GPS wiring concerned the handheld scanners, so I thought I’d share the DB9 wiring for the mobile models. 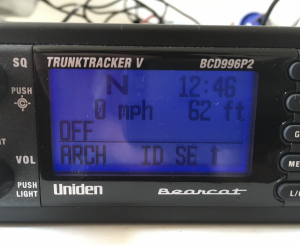 NMEA-0183 compliant, as specified by the Uniden manual. RS-232 output – which makes these more expensive and harder to find than the common USB serial type. 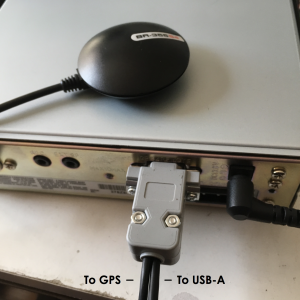 The serial port on the back of the scanner isn’t configured to provide +5V power that the GPS receiver needs. If you feel intrepid, you could take the whole scanner apart and modify the DB9 port to supply +5V power from the internal regulator as mentioned on RadioReference, but it seemed much easier to me to just splice in a USB-A connector for external 5V power. 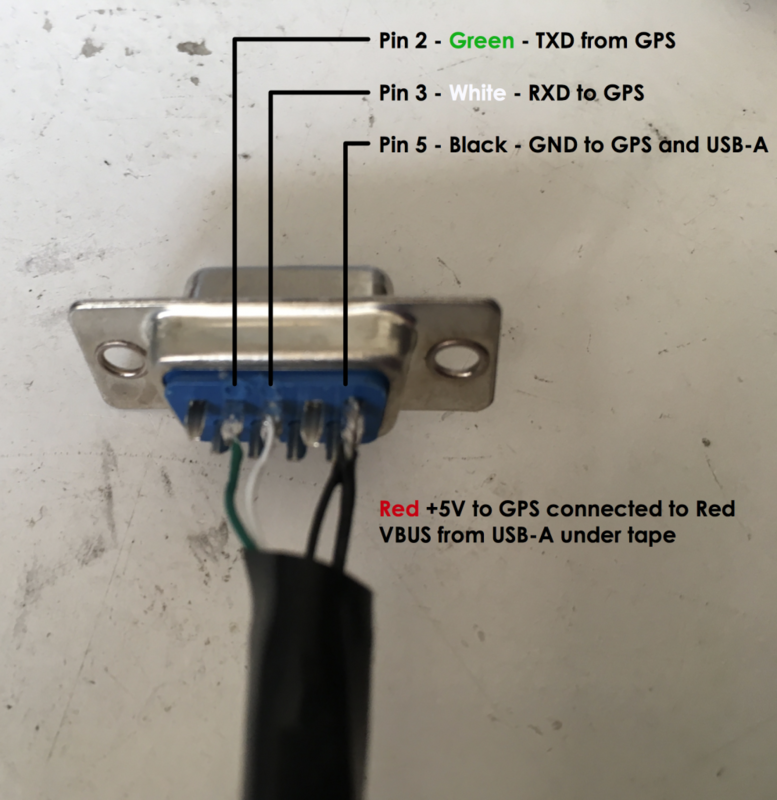 I cut the end off a USB cable and spliced the red and black wires (VBUS and GND, respectively) to provide power to the GPS. The shield and data wires can be cut away. The scanner didn’t immediately recognize the GPS, which turned out to be due to incorrectly configured baud rate. The GPS receiver comes preconfigured to output NMEA sentences at 4800 baud. On the scanner, press Menu and use the knob to select Settings -> Set GPS Baudrate -> 4800 bps. After that, the scanner correctly received information from the GPS. If at this point the scanner still doesn’t recognize the GPS, verify the LED on the GPS is blinking red (indicating it’s locked and sending data), or use an oscilloscope to check for RS-232 data on the green wire. Copyright 2012-2016, all rights reserved.